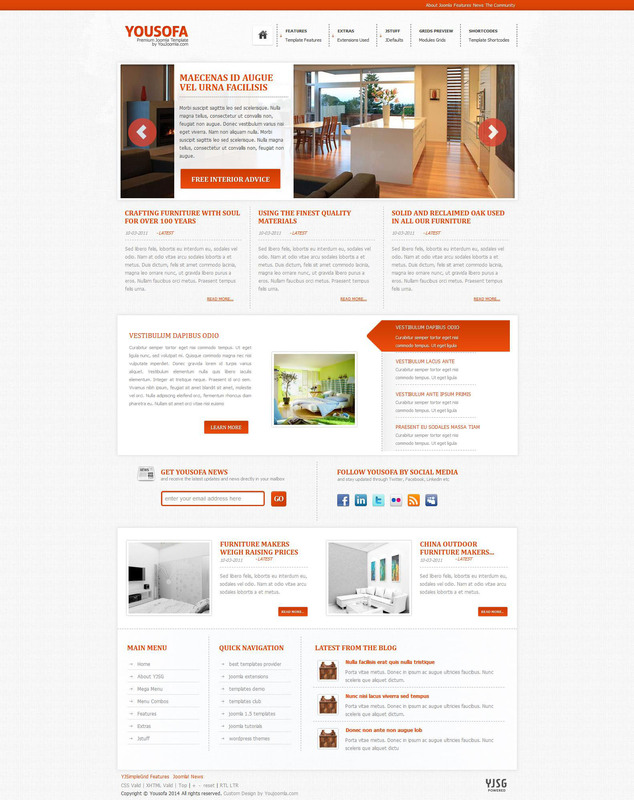 YJ Yousofa - premium template from the studio Youjoomla, ideal for creating websites on the subject of real estate. Modern and clean layout design, including 3 color schemes, combined with studio framework YJSG Framework, provides a stylish and modern look website. Built-in template manager allows access to the main parameters: the modular design, layout width settings, font selection, etc. Full integration with the component K2 template and additional styles to it, as well as support for functional YJ Mega Menu, give special Yousofa versatility.